Do you have a large amount of equity built up in your home? Are you looking to further enhance your financial position? A HELOC may be just the type of financing that you are looking for. HELOC is an abbreviation for Home Equity Line of Credit. Basically, a HELOC is a credit account that is secured by property that a person owns. This account can be drawn against for any number of reasons, such as paying bills, consolidating debt, making a large purchase such as vehicle, additional property, financing a new business venture, investing for retirement etc. The HELOC option when used properly, can be a very powerful tool when looking to enhance one’s financial position. In most cases the interest rate offered on a HELOC is much lower than an unsecured credit line and funds available can be much higher because the line of credit is secured by valuable property. The interest rate on HELOCs typically sits at/around Prime rate, whereas unsecured lines usually are offered at Prime plus anywhere from 2 to 5%. Considering that retail credit cards often pack interest rates of up to 29.9%, you can see why it makes a lot of sense to have the option of a HELOC, especially for large purchases. • Interest Only payments –most Home Equity Lines allow for interest only payments, meaning your monthly obligation would be less than on a mortgage of the same amount. There is no amortization schedule or commitment to pay back principal required. This feature can prove very useful for cash flow management and is a major component of my investment property strategy for clients. • Fully-open – unlike a mortgage, there are no early payout fees if you decide to pay-off the line of credit. This option is very attractive to investors who are in the “Fix & Flip” or short term investment business. • Revolving Credit – The amount that you have registered for your line of credit is at your disposal for as long as you own the property. If you have a $200,000 line, you can use up to that amount at any time. That means no more having to wait for approval from a bank or lender in the future on large purchases. A Home Equity Line also can work to enhance investments other than real estate such as RRSP purchases. If a person has $45,000 in RRSP room on their income tax available, wouldn’t they like to know that they have the option of making this max contribution if they feel it’s in their best interest? By setting up a home equity line and consulting a financial planner, one may be able to set up a plan that satisfies both short term and long term tax and investment strategies. • We would like to put a HELOC on our rental property so we can pay off the mortgage on our personal home. As mentioned, a HELOC can provide many strong options to investors who have equity built up in a home. Homeowners can typically borrow or set-up a HELOC up to 80% of the value of a home. Despite the advantages of flexibility and convenience, HELOC’s are not for everybody and require a higher level of financial management than a typical mortgage loan. For this reason, the requirements for obtaining a Home Equity Line of Credit are much tighter than on a traditional loan. In most cases, HELOCs are reserved for customers who display very high credit ratings and strong credit history. The interest rate on this type of account is tied to prime meaning that as interest rates go up, so too will monthly obligations. As with any financial decision, it is always recommended that you consult with a professional. 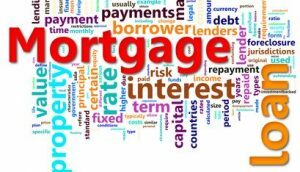 A mortgage professional specializes in consultation with clients in regards to mortgage and loan options and knowledge of all products available. It is our job to align you with the mortgage product that best fits your financial scenario / situation. Please feel free to contact me for questions on HELOC’s or any home financing related questions. If you’d like to apply for a new mortgage, click HERE to start with our secure online application. 10 mins is all it should take to get us working on your behalf. Mortgage Rate Increases Upcoming? What Do I Do?